It’s a play on words, used as an advertising slogan in the UK in the 1940s. It would seem that those words struck a chord, as they remain in the public consciousness to this day. Maybe that’s because they’re true. They certainly were in Paris, in 1986. Daniel Mercier was an accountant, with a career that was solid but not spectacular. One evening, when his wife and child were away, he decided that he would treat himself to a lovely meal and a good bottle of wine at a smart brassiere. While he eating a man sat down on the banquette next to him: Daniel was amazed to find himself sitting alongside President Mitterrand, who was dining with a couple of associates. Daniel was thrilled: he would have a wonderful memory and a fine tale to tell! When the presidential party left the president left his hat behind. Nobody noticed, and so Daniel tried it on. 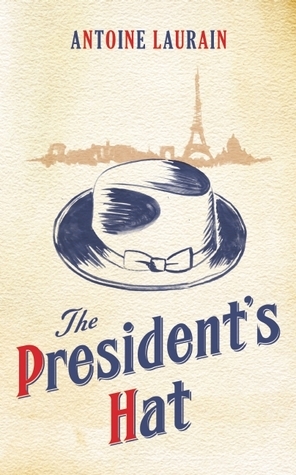 The president’s hat! He rather liked it and so he walked out of the restaurant wearing it. And then his whole life seems to changed. He was more confident at work, more ready to speak out, and he impressed his colleagues and his superiors. He won a fine promotion. But then Daniel lost the hat. A young woman writer found it. She tried it on, she rather liked it, and as there was no sign of the owner she kept it. The hat gave her the confidence to change her life, but then she lost it. Somebody else picked it up, their life changed, and then they lost the hat. And so it went on. Daniel was the only one who knew where the hat had come from, and so he was the only one who chased it. That tied the stories together, making this a proper novel with a beginning, a middle and an end, rather than a series of linked stories. The story of the president’s hat says much about what many things. Big things. Love, work, creativity, recovery, hope, politics …. It says that small things, random chances, can change the course of a life. And it says that you really should reach out for your dream. But, of course, the big question is this: does the power lie within the hat, or does it simply awaken the power in each individual who wears it. That question stays up in the air, but I know what I think. The setting – Paris nearly thirty years ago – was perfect. Long enough ago to be nostalgic, recent enough to be familiar, and could you really imagine this story anywhere else but Paris? I found it very easy to keep turning pages. The style was light and bright, the stories were charming, and I always wanted to know what was happen enough. There was just enough substance, just enough to think about. And the ending was perfect. This is already on my wish list, I discovered it after reading The Confidant by Hélène Gremillon (excellent read) which is published by Gallic books who are specialising in translating modern French books. Their list ranges from the popular to the literary and has some really interesting books on it. Lovely! I really like books that are light-hearted about serious subjects with an interesting premise. Just a perfect summer read.